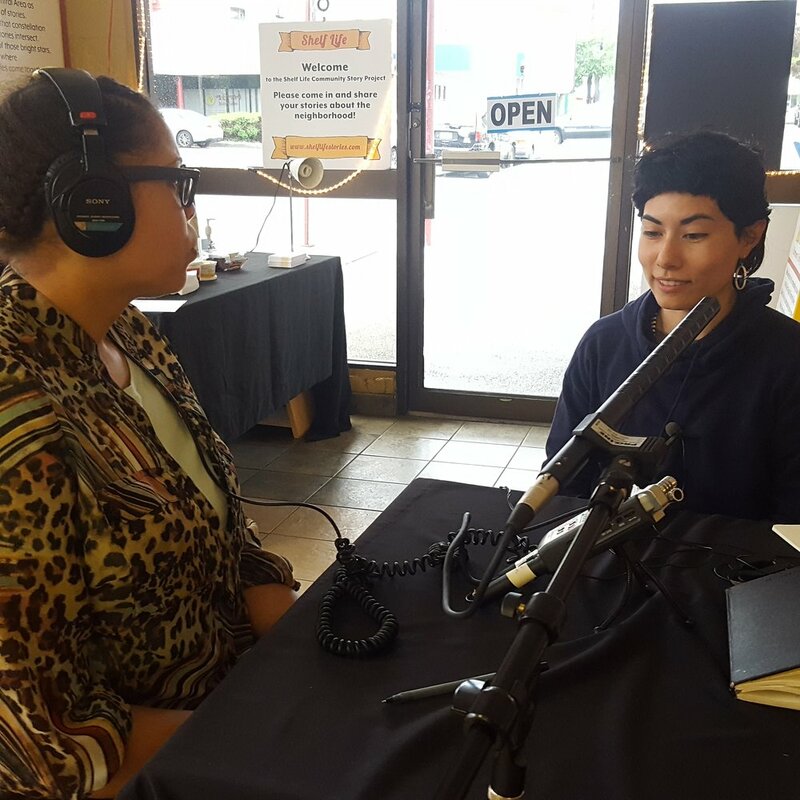 Amplifying community voices, learning from neighborhood stories, and interrupting narratives of erasure in Seattle's Central District. 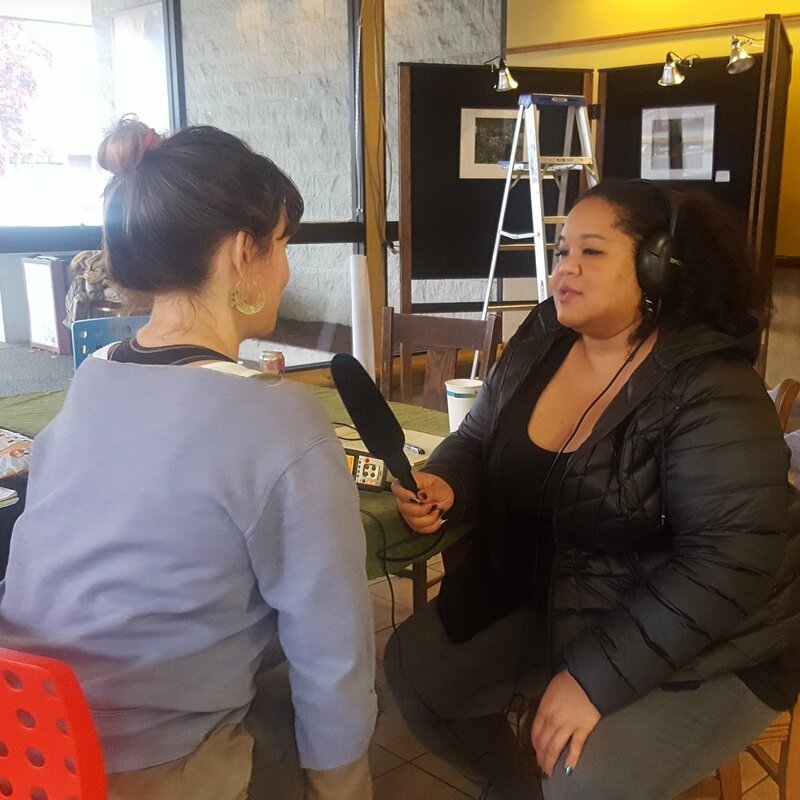 The Shelf Life Community Story Project is recording oral histories with current and former residents of Seattle's Central District neighborhood. 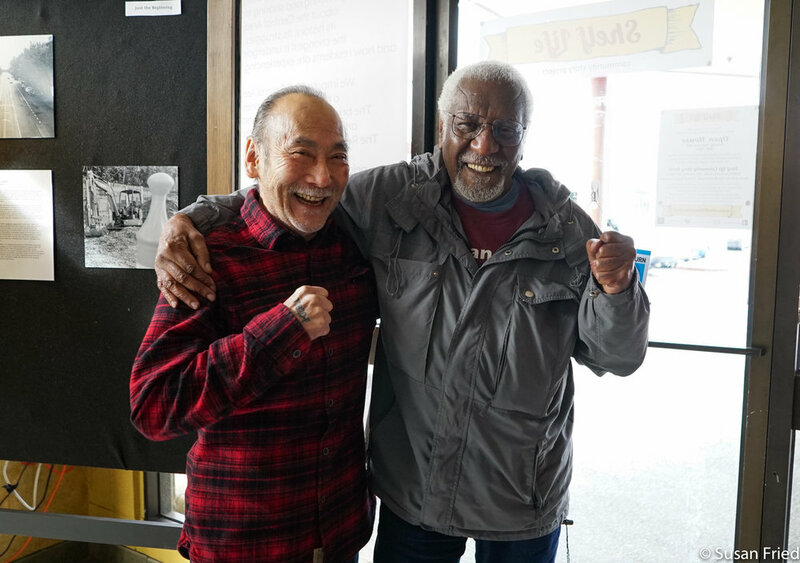 We believe community stories and neighborhood histories can change the way we think about community - what it means to have it and what it means to lose it. We hope the stories we're recording can influence conversations about change and shift the way this city imagines its future. The stories we record are shared with the public through community celebrations and installations, social media, community radio, the Shelf Life podcast, pop-up projection events, the project website, and an interactive story map. Eventually, stories will be archived by the Seattle Public Library. taking place in Seattle’s Central District neighborhood. 2) Amplify, preserve, and learn from the voices, experiences, and histories of Central District communities. 2) Contribute historical context to conversations about change in the Central District. a city where historic residents can feel safe, thrive, and stay in their communities. 2) Stories have the power to depolarize civic and individual conversations about gentrification. 3) When people are displaced, they experience isolation and vulnerability. Community stories reconnect people. Shelf Life is an independent collective of photographers, artists, librarians, historians, filmmakers, and educators. Mayowa Aina is a girl from NE Tacoma, WA who likes to wear many hats (sometimes at the same time!). As a student she studied International Studies, Informatics, Music, and Comparative History of Ideas at the University of Washington Seattle. As a writer, radio host, and aspiring producer she listens to stories and amplifies them to challenge, empower, and liberate others. Jill Freidberg is a documentary filmmaker, oral historian, radio producer, and youth media educator. Her work reflects her belief that responsible, powerful storytelling builds understanding and solidarity across borders and across the street. Inye Wokoma is a filmmaker, photographer, writer, and educator with a passion for photojournalism and social justice, environmental and cultural subjects. Carina A del Rosario is a photographer, visual artist, digital media artist, and youth arts educator. She uses art to explore the desire for community, for being part of something larger than oneself, and also the pull of solitude, for shrugging off ties that tangle and constrain. 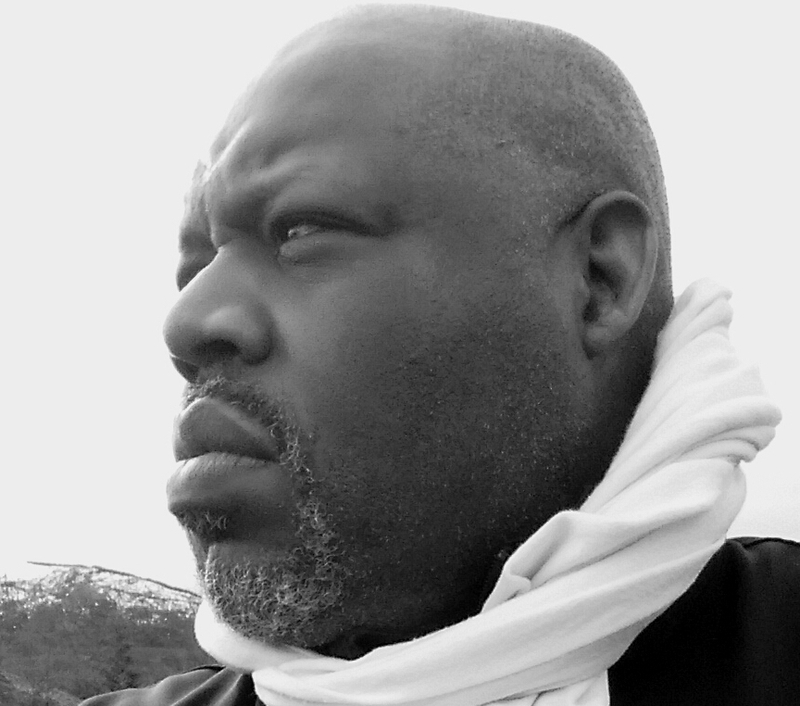 Domonique Meeks is an entrepreneur and filmmaker. He is a recent Masters graduate from the University of Washington and does consulting around data analytics and content strategy. He has a passion for social and economic justice, informatics, and art. 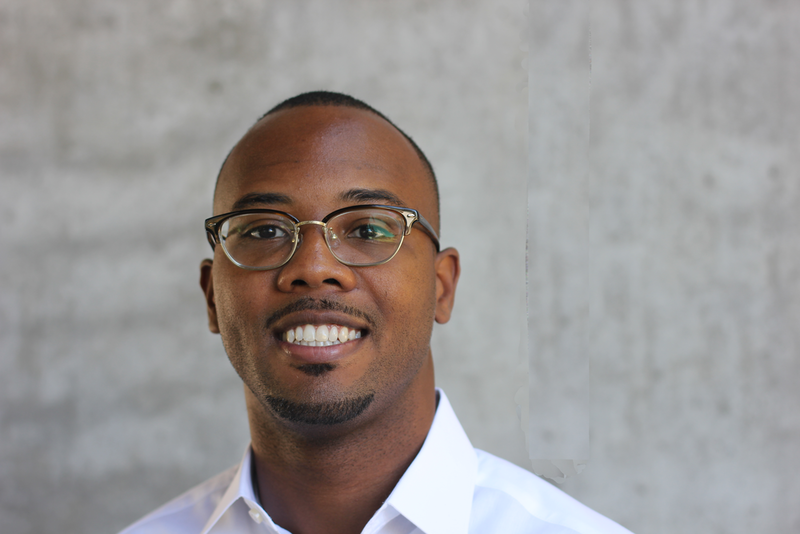 He utilizes data and media to tell community stories of entrepreneurship and technology. Henry Luke is a community organizer, mural artist, and arts educator from occupied Duwamish territory known as Seattle. They have painted walls, taught classes, and organized since 2009, in the greater Seattle area and beyond. 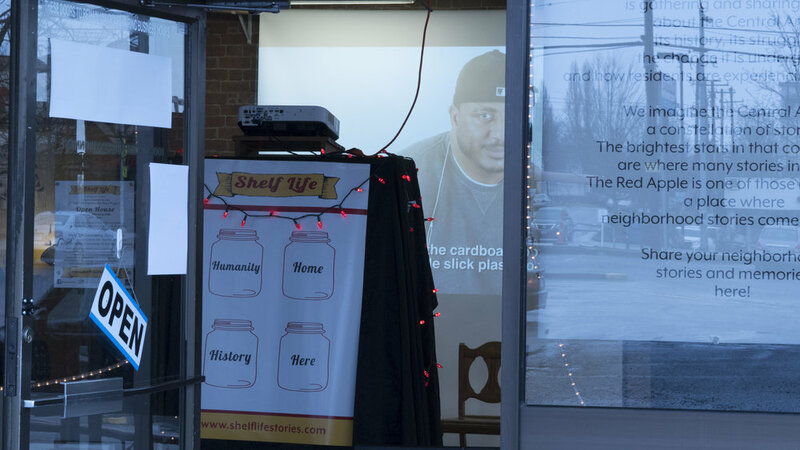 For almost two years, Shelf Life had a community storybooth in the storefront next door to the Promenade Red Apple. In that space we recorded oral history interviews with Central District residents, trained community members in audio recording and interviewing techniques, hosted open houses and live storytelling events, and shared youth art exhibits. We lost that space, at the end of 2017, when the Promenade was demolished to make way for market-rate housing. Since that time, we have been editing and producing the Shelf Life podcast. Starting in the summer of 2018, we will be working with the City of Seattle Office of Arts and Culture to host a series of community events where we seek input from current and former residents of the Central District about how they would like to see the stories we've recorded returned to the neighborhood. We will also start making arrangements to record more interviews, in collaboration with neighborhood churches and senior centers. 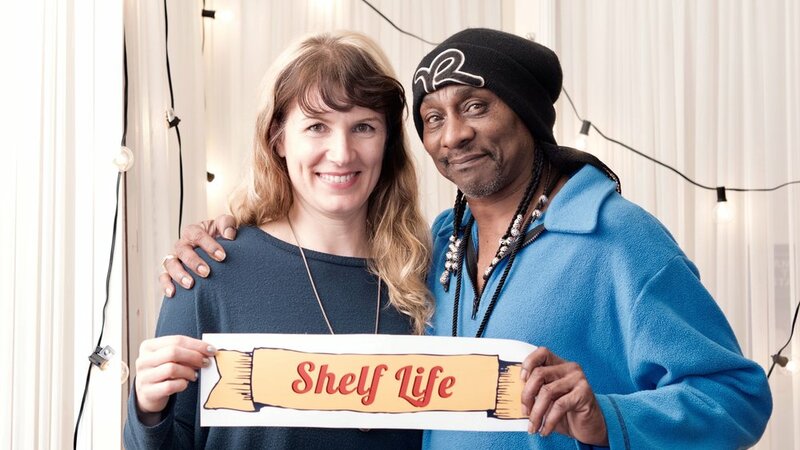 Shelf Life received funding from the King County 4Culture Heritage and TechSpecific programs and from individuals making modest donations. The project is primarily driven by volunteers, but when funding is available, the first people to get paid for working on the project are always people of color. a. Prioritize compensation of POC whenever and wherever possible. b. Be clear and intentional about roles, expectations, contributions. c. Share project voice - who speaks for the project and who do they represent? d. Be transparent about all project funds and expenditures. a. 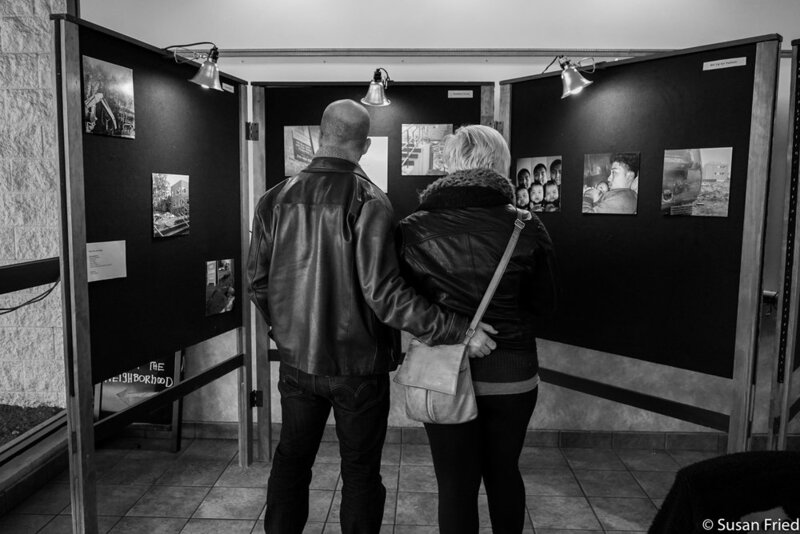 Look for ways to include the affected communities in the sharing and gathering of stories. b. Be intentional about where, how, and with who the stories are shared. c. Seek out and center stories that are not about pain and hardship and that are about innovation, tenacity, solidarity, community building, celebration, art, and beauty. a. Train people of different backgrounds, genders, races, ages, languages, etc, to recruit, engage, and interview project participants. b. Employ a diversity of tactics for engaging community and seeking out community spaces in which to record stories. c. Study and seek to understand the existing scholarship about power and privilege in story gathering / oral history environments. 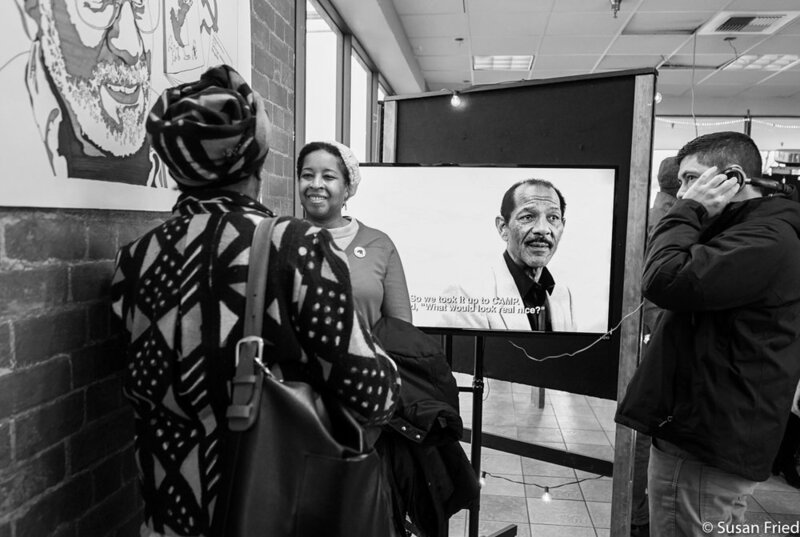 d. Use our privileges, access, and power to bring community stories to conversations with new residents, policy makers, and developers, using context and history to depolarize conversations about change, gentrification, and displacement.